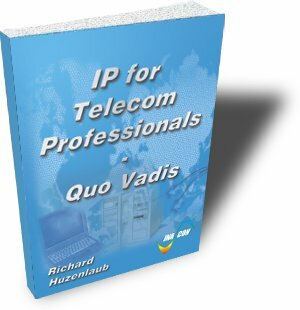 Thisbook addresses the needs of everybody who needs to understand how and why the telecommunication world is merging with the IP-world. One key issue is to understand what “Next Generation Networks” are all about. It will present the ideas and the concept of the IMS (IP Multimedia Subsystem) and the related hardware, software and protocols like soft switches (media gateways), SIP, SDP, H.248, ENUM or SIGTRAN. The previous topic will allow you the understanding of Triple-Play Services. It will be obvious that only an IP-bearer network will allow the telecom and mobile operators to sustain against new competitors like ISP’s and cable-TV operators. The book includes the presentation of some basic multimedia scenarios like video call establishment through SIP and SDP. The book concludes with the presentation of IP-centric mobile communication systems like WIMAX, Flash-OFDM or IEEE 802.20.